In their fourth 2-reeler for Columbia, The Three Stooges are mistaken for college football heroes by a beautiful gangster's moll, played by Lucille Ball. The Stooges are "recruited" by a college to drum up publicity for the college's football team by being dressed up as football players. Meanwhile, the owner of a professional football team, Joe Stacks, has to find three new players for the next game. One of Joe's girlfriends soon meets the Stooges and confuses them for genuine college football players known as "The Three Horsemen". Naturally, the trio have not a clue how to play football. Their first game (staged at Hollywood's Gilmore Stadium) turns into a fiasco and eventually causing their team to lose. Believing that they had thrown the game on purpose instead, Stacks and his fellow managers turn their revolvers on the Stooges, hitting them on the buttocks as they attempt to flee. Special Notes: Three Little Pigskins is one of the most enduringly popular comedy shorts of the 1930s, featuring The Three Stooges at their anarchic best. It's also famous for providing an early supporting role to Lucille Ball, who plays Daisy Simms, the gangster's girlfriend. 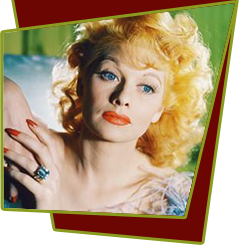 Lucille Ball would always credit the Stooges with introducing her to "slapstick and physical comedy." According to Jack White, brother of Stooges producer Jules White, Lucille quickly left the studio because "Harry Cohn didn't want to bother with her. He didn't think she had any talent!" Asked what she remembered of this short fifty years later, Lucille replied, "Just a lot of seltzer squirting and trying to get dry."